Hey guys, new to the forum! 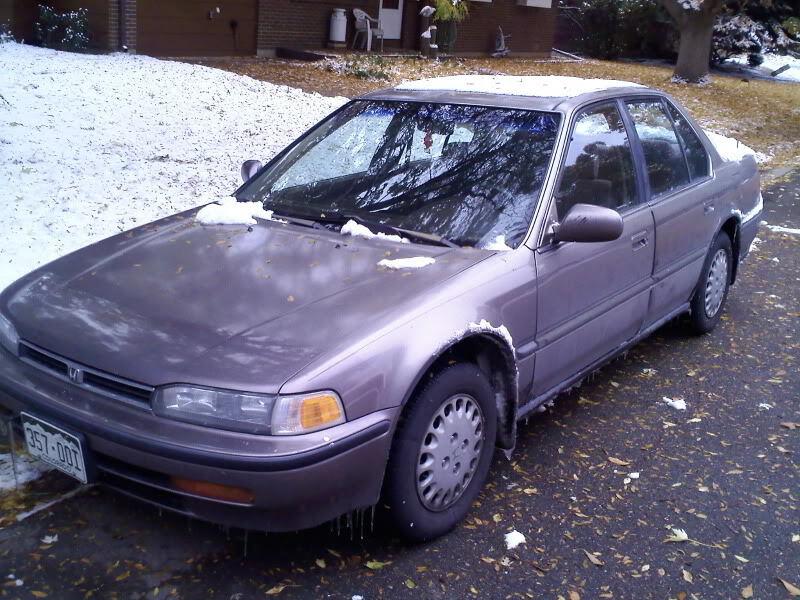 I own a '92 4 door Accord LX which has been my daily driver for several years. Recently, I have developed a horrible noise while driving. It's coming from the driver front wheel, I presume the brakes. I haven't had a chance to find out what it is exactly yet, but it happens only when I am *not* braking. As soon as I touch the brakes, the squealing goes away. I am guessing worn pads of a frozen caliper, not sure yet. Anyway, It had me thinking... What are some low cost brake upgrades for this car? I figure I might as well improve the stopping power while I am in there. Is there a fairly easy swap? I know these Honda's are like legos, and a lot of parts interchange between models. I already have 15" wheels (From a newer Accord). 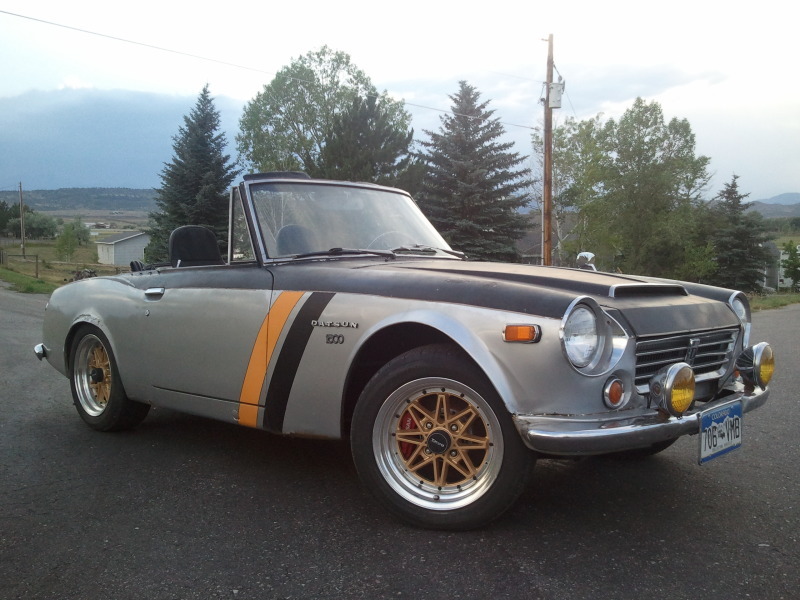 I am also fairly fluent in brake upgrades, as I have done extensive work on my '68 Datsun Roadster. For the Accord though, I want something simple. What are the options? I am hoping there might be a mild upgrade, something like a stock part that will bolt up fairly easily. And for those curious.... Here are some oics! I love that old Datsun 2000. I bought one when I was in the Army, unfortunately I totaled it when I drove it off the side of a mountain out in Colorado back in the summer of 1969. What a great car that was. If you want to upgrade your brakes for little money your only real choice is to go to more aggressive brake pads. They won't work quite as well when they are cold, they won't last as long as lessor pads, and they will produce more dust too, but they will grip a bit better when they get hot, or to say it a better way they will retain their ability to stop the car at temperatures that would cause stock pads to wilt. If you want to spend more money you could replace your disks with a set that can clean itself. That means either a set with slots, holes, or dimples or some combination of two of the three. Holes are problematic, dimples don't do anything, slots are actually worth having. You could replace the flexible rubber section of your brake lines with stainless ones, but this is much more a cosmetic modification than one that actually does any good. Yes, stainless lines are better, but not that much better. You'll never feel any difference. Finally you could go to larger brakes. But then you said you didn't want to spend a bundle on this, so larger brakes are out. A set of big brakes typically costs over a grand per corner, well over in some cases. Just a thought too. Usually stock brakes aren't all that bad. Keep them in good shape and they will lock up the wheels (or activate the anti-lock mechanism) and if they can do that then in truth your problem is tires, not brakes. An awful lot of braking and suspension woes are actually the fault of crappy tires, not particularly bad brakes or shocks or springs. Always nice to meet another Datsun owner, though it is a shame to hear what happened. I love that little rust bucket to death, it is a go-kart to drive! My brakes stop fairly well, but I like them to be a bit more sensitive. I know a great deal about brakes. (Hopefully evidenced by what I did to the Datsun... that was a lot of custom fabrication, most of which was done by me.) For the Datsun, I used parts from a bunch of other cars to improve the brakes. The fronts are 300zxtt calipers and custom mounts and rotors, and the rears were converted from drum to disc using '82 200sx brakes. The master cylinder is out of a 280zx. More what I was hoping for was if another model car's calipers and rotors would bolt up to what I already have. I have heard the wagon's brakes were better? Not sure if that is true. I might switch the rears from drums to discs while I'm at it. I don't want to drop the dough for brembos or something, as it wouldn't be worth it for a street car. To be honest, I don't really need better brakes, I just love fiddling with the car. I think it is fun to spend silly amounts of time doing little improvements no one else will notice, lol. I guess it's just a hobby. I know the EX had discs in the rear, and i'm sure that would swap over fairly easily, but were the fronts better too? Would they be easy to switch out, or are the mounts different as well? Anyone done it before? Quick Reply: New to the forum, not the car... Brake diagnosis/upgrade question!